A handily small-sized quiz and puzzle book. 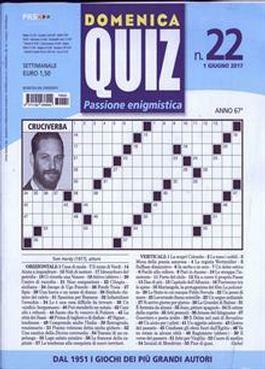 Domenica Quiz is packed full of all the usual cross-words, anagram games and word-searches. Be the first person to tell us what you think about Domenica Quiz (Italy) and you'll save $5 on your next purchase!